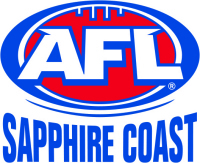 THE final training session for the Sapphire Coast AFL rep teams, the Stingrays, was boosted by a visit from AFL legend Kevin Sheedy on Tuesday. About 90 of the Far South Coast’s finest players across four age groups were on show for everyone to see on Tuesday at the public training session. Sheedy was in the area to promote the code and give some last minute pointers to players before representative clashes in Nowra on Friday, Saturday and Sunday. Sheedy said he was inspired by the grass roots level football he witnessed on Tuesday and aimed to promote the game. “I have really wanted to make sure our game does end up Australia wide,” Sheedy said. He said his club, the Greater Western Sydney (GWS) Giants had a strong interest in the area as it is in the club’s feeder region, and not all talented AFL players grow up in Melbourne. “History will tell you kids in any sport can make it, from anywhere, you have just got to give them the chance. There were a few pointers on the night for the players who might have aspirations of making it in the AFL. 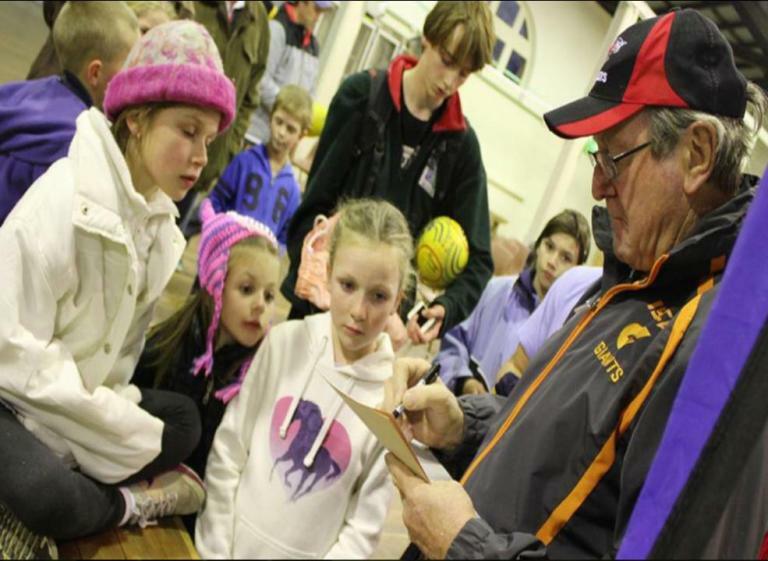 “There is no real talent you look for, talented kids always stand out,” Sheedy said. He said it was quite often the quiet achievers at training who can “go under the radar” that will be picked up by a club, because of their continued determination. “Maybe they’re a bit less talented at times, but they get there in the end. “On the sheer heart effort on the training you have to do, the dedication you have to have and application to the game. “They get there in the end because of that,” he said. Former Swans captain Brett Kirk was an example, with Sheedy saying he worked hard to earn his place. He also had some advice for any players hoping to follow in his footsteps. “I’ve always believed you go and chase knowledge about what you need to do, it starts with education at school,” Sheedy said. “Think about your career, think about the skills you need to do to go and play it. He said he had considered cricket, or even the Olympics, before settling on pursuing a career in the AFL. “When I first played football, I used to love cricket, but they only pick one leg-spinner on the Australian Test team. However, the AFL provided a “mathematical” chance. “When I looked at the 12 clubs in Melbourne, they needed 14 blokes around my height, that’s 168 blokes in total so I thought ‘I’ll go play AFL because people my height get a chance’. However, Sheedy did have some words of caution for anyone considering a career in coaching. “What are you going to do when you lose? I lost more than 240 games as a coach, that’s almost 11 years I drove home losing. He said a common mistake with coaching was assuming you only had to work with the players. Sheedy is now happily serving with GWS. The GWS players were raw recruits, fresh out of high school when the club picked them up, Sheedy said. “To go and recruit a team from all around Australia out of year 12 basically and put them on the deck. “None of them had car licences when they come, so we had to put them on a boat and take that in to the city,” he said with a laugh. Now many of those players are celebrating 21sts and are more confident on the field taking on the big names of the sport. “It is a point of pride for me, it’s given them the opportunity they wouldn’t have had. “It’s been an amazing journey. “We beat a club that’s been around for 150 years when we’ve been around for about 104 hours of actual play, there’s not a lot of history there yet,” he said. The Far South Coast lies in the feeder area for the GWS club and Sheedy said selectors would be watching tapes of the representative games this weekend.